The TOPS Nomad is a large fixed blade with a lightweight build designed for those consumed by wanderlust. 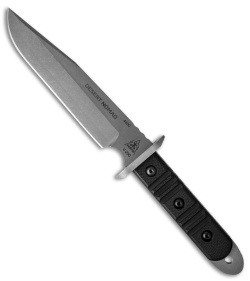 This knife features an easily maintained, combat-ready tumbled 440C blade and an aluminum guard for safe handling. 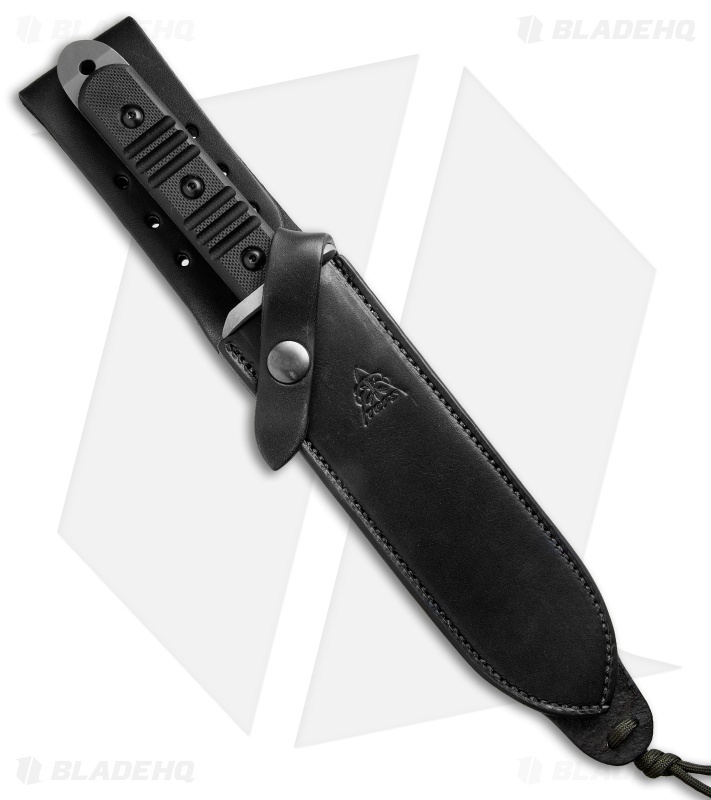 Ridged black G-10 handle scales provide a non-slip grip regardless of weather conditions. The pommel is equipped with a splitter tip, giving users a strike option in defensive situations. Includes a black leather belt sheath for secure carry. Easily maintained 440C blade steel takes a razor sharp edge. Textured G-10 scales and aluminum guard offer a secure grip. Included leather sheath with clasp for easy belt carry.